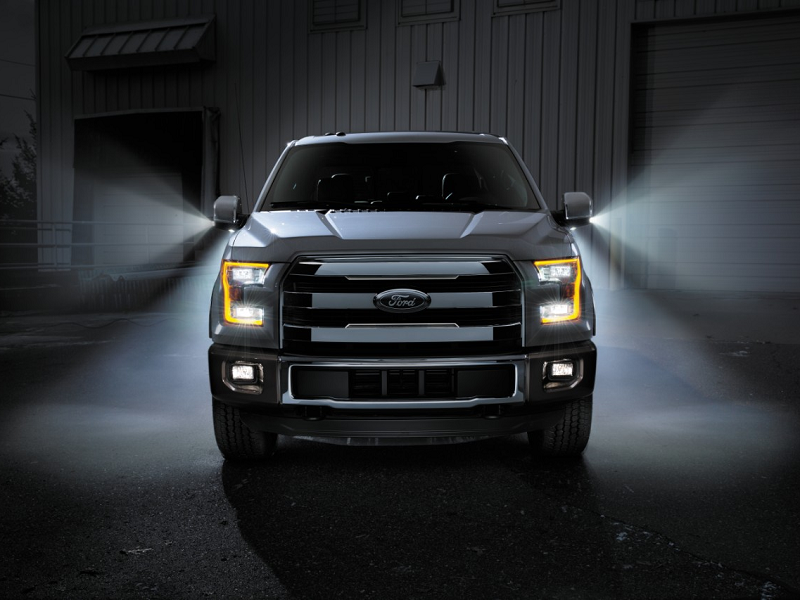 The 2015 Ford F-150 is the most aerodynamically efficient F-150 ever, thanks in part to new aero curtains that reduce wind drag by guiding airflow across the front wheels. Air curtain technology, which first debuted on the all-new Ford Mustang, allows air to flow through a vent underneath the headlamps and out around the wheel. 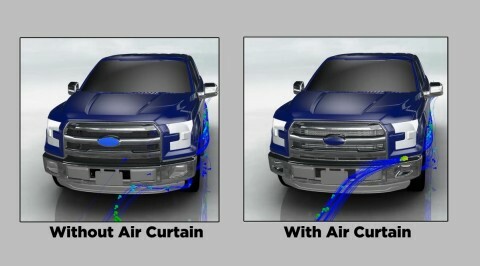 Side-by-side animations show how airflow is smoother at the front wheel and down the side of the truck with the air curtain, versus without it. It’s not obvious to the eye, but rotating wheels are a major source of drag. Enclosing the wheels in skirts to smooth the flow isn’t necessarily practical or attractive – especially on a vehicle as hardworking as F-150. So Lietz and team adopted a different approach. Horizontal slots underneath the headlamps channel air from the front of the truck through ducting to openings in the wheel wells – directing it across the outer surface of the wheel and tire. The wall of high-speed air works much like a skirt to reduce drag, while still leaving the alloy wheels fully exposed. 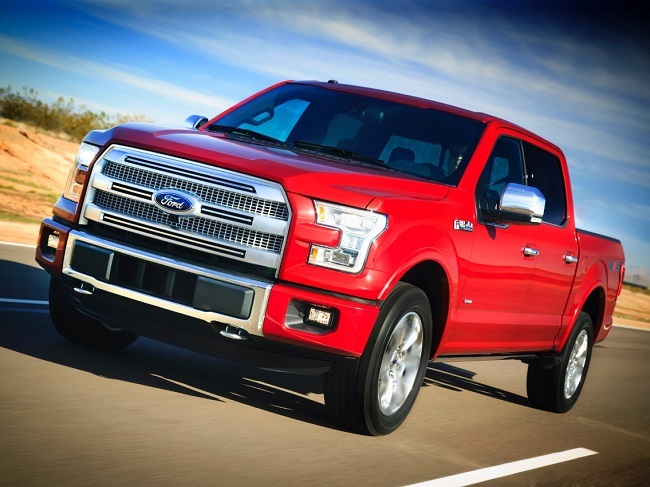 The result of the work of Ford engineers and designers is another incremental improvement in aerodynamics that helps F-150 earn its position as the most fuel-efficient gasoline pickup in the light-duty truck segment. 12015 2.7-liter EcoBoost V6 4x2 model tested for EPA-estimated fuel economy rating of 19 mpg city, 26 mpg highway and 22 mpg combined. Actual mileage will vary. Class is full-size pickups under 8500 pounds GVWR.